Of course we all read Victor Hugo's novel Les Miserables in school. In 1980 it was turned into a musical with music by Claude-Michel Schonberg. 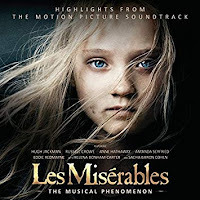 And in 2012 it was turned into a film directed by Tom Hooper and starring Hugh Jackman as Jean Valjean. This song is part of a romantic subplot featuring Eddie Redmayne, Amanda Seyfried and Samantha Barks. Redmayne was born Jan. 6, 1982 in London. He started out as a model and then a stage actor. His first big film was the 2006 film The Good Shepherd directed by Robert DeNiro. Les Miserables is considered to be his breakthrough performance. He has since been nominated for two Oscars. Les Miserables is his only musical to date. Amanda was born Dec. 3, 1985 in Allentown, PA. She started out in daytime soaps and then the HBO series Big Love. She was also in the film musical Mamma Mia!. She was also in the sequel. Samantha was born Oct. 2, 1990 on Laxey, Isle Of Man. She became famous in England appearing on the 2008 BBC talent show I'd Do Anything. She appeared in the 2010 London stage production of Les Miserables and then she made her film debut in the 2012 film version. Before Samantha was hired, the rumor was that Taylor Swift was going to play Eponine. Samantha continues to perform in stage musicals and she released her debut album in 2016. 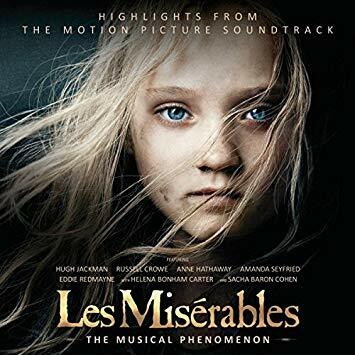 Because Les Miserables is almost three hours long, Universal released a highlights CD and later a 2CD Deluxe Edition which has everything in the film and some bonus tracks. Here's Eddie Redmayne, Amanda Seyfried and Samantha Barks performing In My Life/A Heart Full Of Love in the 2012 film Les Miserables.